Jay Beatty is both a trial and transactional lawyer experienced in business and commercial law, consumer law, construction law, personal injury, probate, wills and real estate law. A graduate of university of Texas School Law, Jay was admitted and licensed as an attorney and counselor at law by the Supreme Court of Texas in 1990. 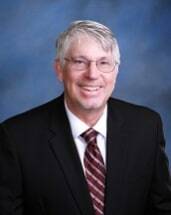 He is a member of the Bell Country Bar Association and the Texas Land Title Association. Jay earned a bachelor degree in building construction and engineering from John Brown University in 1982. Prior to obtaining his law degree, Jay was a project engineer and project manager overseeing the construction of multi-million-dollar office buildings, hospitals and hotel projects. Utilizing his vast experience as a construction project manager and trial and transactional attorney, Jay expresses his client's claims, demands and viewpoints to juries, judges and those on the other side of the table with passion, understanding, and fortitude.